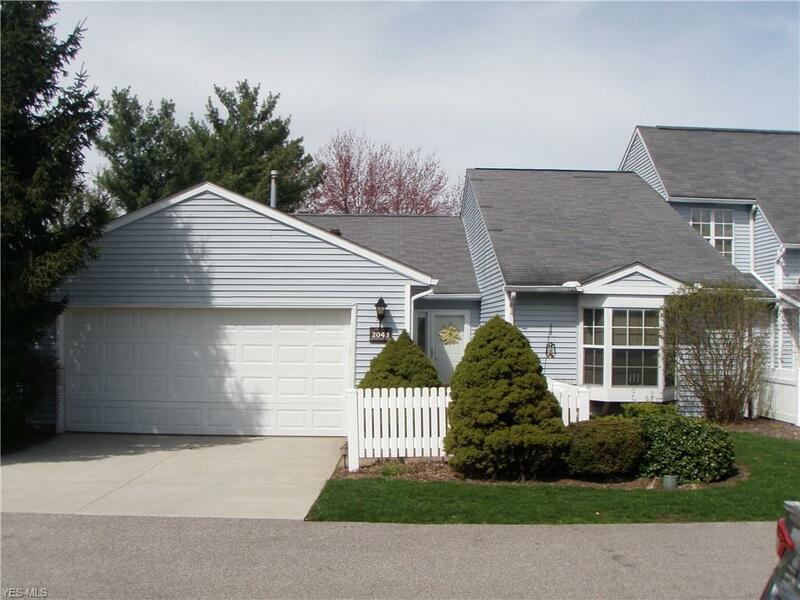 Enjoy carefree living in this very spacious Ranch condo in desirable Eagles Chase. Front foyer entry w/tile floor and beautiful stained glass window. Relax and enjoy the pool and clubhouse in time for spring and summer. The large Great Room has vaulted ceiling, plantation shutters and ornate gas fireplace. Formal dining room. 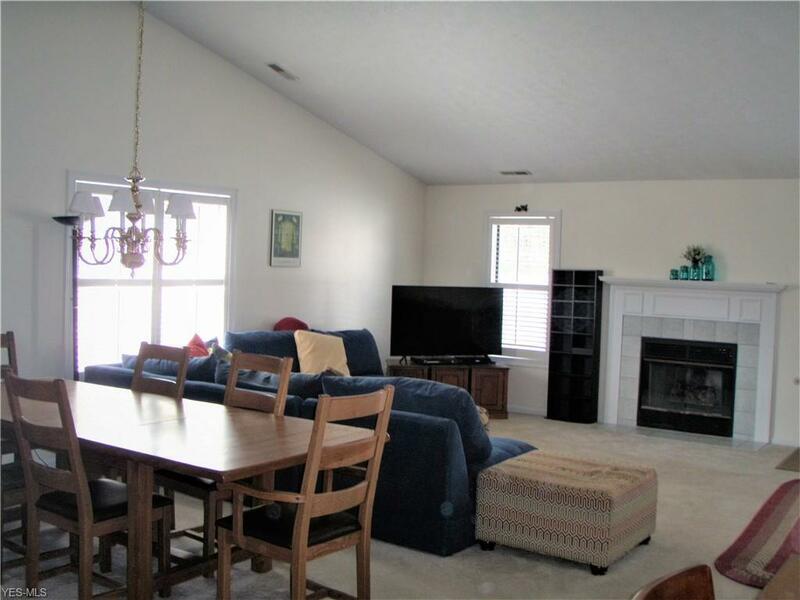 Open floor plan w/bright, beautiful bay windows. 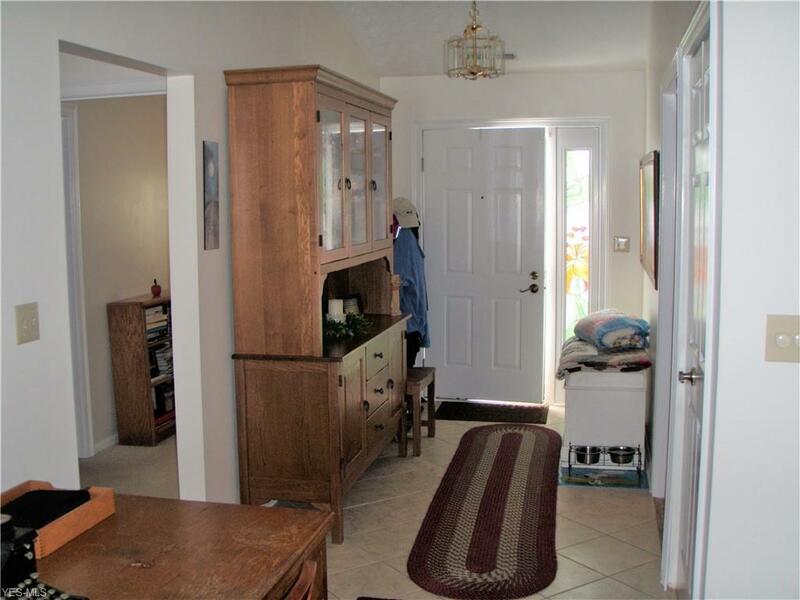 Generous kitchen w/tile flooring and dinette area w/charming bay window and window seat. Convenient laundry area w/utility sink and lots of shelving. Large pantry! 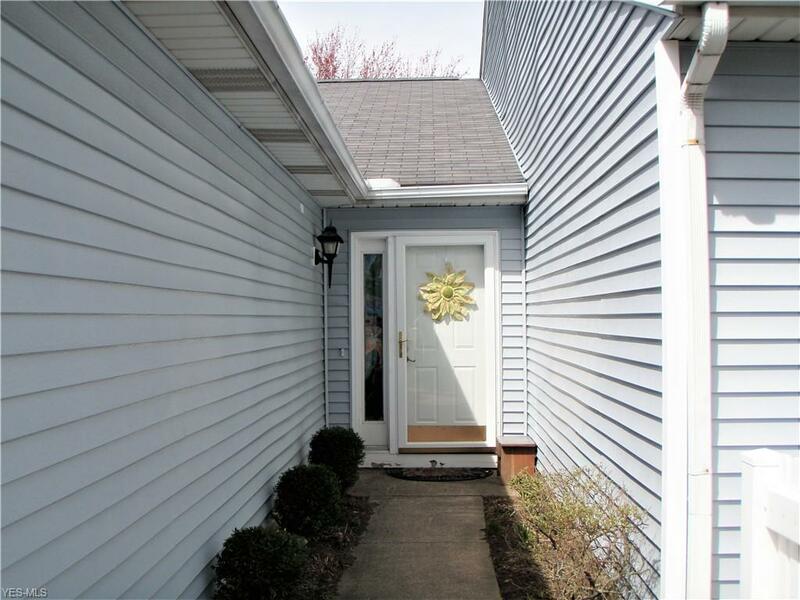 Master and 2nd bedroom are extra large w/walk-in closets and 2 full baths. Fenced in patio area. Attached 2-car garage w/opener, drain, water and white cabinetry for storage. Newer furnace and hot water tank (2012). Back foyer w/2nd coat closet. Alarm system. Newly painted interior. New storm doors front and back.